BRAND NEW WITH TAGS, 100% AUTHENTIC, ADIDAS ORIGINALS ZX500 SNOWBOARD BOOTS SIZE UK 9 BLACK WITH BLUE AND WHITE TRIM COMPLETE WITH ORIGINAL BOX BUT BOX SHOWS A LOT OF SIGNS OF WEAR THROUGH STORAGE FROM A SMOKE FREE, PET FREE HOME I'M HAVING A CLEAR OUT SO CHECK OUT MY OTHER AUCTIONS I will discount postage charges if more than one item is purchased. Nike Zoom Kaiju Snowboard Boots - Size UK 8. Condition is Used. These boots are still in a very good condition. They are very comfortable (and look cool too!) Dispatched with Royal Mail 1st Class. 32 Thirtytwo Scott Stevens TM2 pro Snowboard boots size 9 UK. Iv listed these boots as used. Although only very light use. 3 days to be exact! ThirtyTwo STW Boa Snowboard boots Men’s Size 9. Condition is Used. Dispatched with Royal Mail 1st Class. Used around 1 time per month for the last 12 month's indoor only. They are in excellent condition. If anyone courses the buy it now, I will refund the postage. Nike Vapen Black Snowboard Boots UK Size 10. Condition is Used. Dispatched with Royal Mail 2nd Class. Size 9 Thirty Two snowboarding boots. White with blue accents. Men’s VANS Hi Standard M White/Snake SNOWBOARD BOOTS UK 10 New. Condition is New with box. Bestselling Vans ‘hi standard’ snowboard Boots Dispatched with MyHermes or free collection from Leeds. For any further information or if you have any questions please get in touch! Men’s BURTON Ruler Speedzone 2018 Black Faux Leather SNOWBOARD BOOTS UK 10 New. Condition is New with box. Dispatched with MyHermes. Free collection is also available from Leeds. For any more information or if you have any questions, please get in touch! 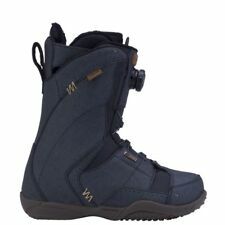 THIRTYTWO LASHED BRADSHAW WINTER 2017/2018 UK SIZE 10 SNOWBOARD BOOTS. Condition is New with Box RRP £240. Winter 17/18 model. Boots are slightly too small as my feet are quite wide. These are ‘Team fit’ and for normal width or narrow feet. They have been tried on and walked around my house to check fit but that’s all. If you use ‘Buy It Now’ I will post for FREE! Ride Deadbolt snowboard boots UK11. 9 days wear in total. In excellent condition. Slight nick one toe as pictured. Boa fastening system. Tremendous looking and feeling boot. Wet comfortable and responsive. Light and durable. Worth reading the review online. Used with box. Dispatched with Parcelforce 48 hours. Any questions don’t hesitate to ask. Mens Thirty Two 32 Snowboard Boots UK11 / EU46. Boots are in very good condition as have had little use. Boa system works great, all ready to go. Grab an absolute bargain! Dispatched with Royal Mail 2nd Class. thirty two snowboard boots size 11 Boa. Condition is Used. Dispatched with Royal Mail 2nd Class. Burton Men's MOTO Snowboard Boots - Black and red, Size 10 UK 44 EURO (11 US) . Condition is Used. Dispatched with Royal Mail 2nd Class. Vans BOA snowboard boots good condition all round. New boots force sale. Will post. I do have advertised elsewhere. Any questions please contact 07983961026. Selling as used but the show hardly any sign of wear. Only marks i can see is a tiny bit of rub on the sole at the heel. I bought these and never used them as I took to skiing. Vans Aura Pro (2018/19) Double BOA - UK Size 9.5 - Black/Grey - RRP £255 - Hardly used (footbeds new unused). It features our dual-zone Custom Focus Boa construction for unlimited, on-the-fly micro-adjustability backed by the customizable comfort and heel hold of the Custom Slide Guide. New Burton Fiend Ltd Snowboard Boots size 8uk RRP £240 Boxed. Condition is New with box. The added warmth of Sleeping Bag heat-reflecting foil and impact absorbing ReBounce cushioning with AutoCANT EST® settles the score on a new benchmark in genre-busting freestyle performance. Thirty Two snowboard boots Size UK7. Condition is Used but in very good condition as only worn for approx 8 hours before deciding they were too tight. So bought next size up- hence sale. Dispatched with Royal Mail 2nd Class. Burton Ruler Snowboard Boots. UK Size 10. Condition is Used. These are my well used boots, great pair of boots and so easy to get on with the speed zone lacing system. Please look carefully at pictures for condition. Side material has perished slightly and there are cuts from board edges also. Crack also on outside material. I used them this season and they're still great and kept my feet warm and dry. Postage via my hermes. Salomon launch snowboard boots. Here is it what Salomon say about them. Black Snowboard Boots size UK 11 - Thirty Two . Condition is Used. Dispatched with Royal Mail 2nd Class. Used for one week snowboarding. Men’s DC Mutiny Multi Brown SNOWBOARD BOOTS UK 10 New. Condition is New with box. Dispatched with MyHermes. Free Collection available from Leeds. For any further information or if you have any questions please get in touch! Nike Snowboard Boots Size 6 Used Once . Condition is Used. Dispatched with Royal Mail 2nd Class. Salomon Snowboard Boots - Dialogue Wide Mens Boots Black - 2018 - UK 8. Condition is used but basically new as used sparingly on a three day trip to France, during which I realised they are too large for me! Great quality solid boots, with styling which will last season to season. Thanks for your interest. You are looking at a new pair of 32's snowboard boot liners. At least your feet will be going into your own inner linings! Plus they do not weigh that much in your luggage. I wear a size 8 boot but 32's are on the small side so these are closer to 8 than 9. NEW without box! Ladies Saloman Ivy Snowboard Boots UK 4.5. Dispatched with Royal Mail 2nd Class. Men’s Snowboard Boots 8.5 UK Burton Moto, used once but too small for me! Men’s Snowboard Boots 8.5 UK Burton Moto, used once but too small for me!. Condition is Used. Dispatched with Royal Mail 2nd Class. Thirtytwo PRION Advanced Snowboard boots (UK Size 11). Condition is Used. Dispatched with Royal Mail 2nd Class. Barely been used, black leather, lightweight, have purple/magenta inserts with a draw string tightening lock on the internal insert. Lace up on the outside of boot. Fully waterproof, black wit mesh pattern. Grab yourself a bargain as these were 198.99 new! Snowboard Boots Burton Boa Zipline UK 5. Superb condition - only used for 1 day. Snowboard Boots Burton Youth Boa Zipline UK 5 (6K). Condition is Used but in great conditon as only used for one day! Still with box. Dispatched with Royal Mail. Used thirty two lashed snowboard boots, bought for first snowboard trip but are a touch small. Would fit a wide 10.5 or standard 11 foot. Have probably had about three weeks total riding. Price is collected but can probably post. £50 Ono thirty two lashed snowboard boots Size 10.5. Condition is Used. Dispatched with Royal Mail 2nd Class. Burton Invader Snowboard Boots Size 10. Used on 3 snowboarding trips, excellent condition. Condition is Used. Thirty Two Exus Snowboard Boots. UK Men Size 9 VGC. Condition is Used. Dispatched with Royal Mail 2nd Class. Red with tiger print design, black and gold accents, and tiger rabbit detail on back. Other features include red laces, golden eyelets and black leather toe cap. Rare Winter 2009 release pro-rider Zoom Force 1 snowboard boots. To enjoy your time on piste or powder, protect your feet and enhance your performance with snowboard boots. Options on eBay allow you to glide smoothly over powdery snow, and stay on your feet comfortably. Can all snowboard boots absorb impact? Yes. Snowboard boots from eBay are designed to keep your feet warm while protecting them from intense activity. They offer different levels of protection, and the ones that absorb shock well are made with air pockets in the heel, to absorb hard landings off giant cliffs. Those with gel pads in the forefoot also reduce shock. EVA cushions are built into the outer sole of some boots, giving you extra shock defence with every jump. How much flexibility is available in snowboard boots? Cheap snowboard boots offer different levels of flexibility, and these suit people who are beginners, intermediate, or experts. Those with the most flex on eBay are designed for beginners. Stiffer boots are designed for speed and high-impact jumps, so they suit people with more experience. Can all snowboard boots be customised? Built-in independent dials on some high-end boots let you adjust the outer section and heel cup. Heat-adjustable liners ensure that boots conform to your feet. Liners featured in boots on eBay often help people with flat feet to stay relaxed on the slopes. How much traction do cheap snowboard boots offer? Lots of cheap snowboard boots provide some traction, improving your safety as you go hiking along ridge lines. Those that distribute pressure evenly prevent pressure points, so you can hike without pain. Several designs have treads on the outer sole which help them to grip the surface like tyres, while others feature excellent heel hold to reduce fatigue and prevent you from sliding. Freeride snowboarding boots offer good traction to tall individuals, making them a good choice for hiking.